Every online business requires 100% support of a reliable social media marketing agency that is capable of generating sales, leads, exposures and the opportunity to offer desired business revenue and success rate. We, at iQlance with our years of experience in Social Media & SEO Services, assure to make your online business more reachable using the best social media marketing strategies. 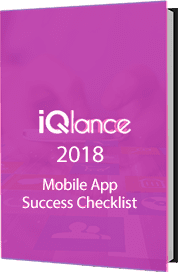 iQlance is a leading social media marketing company based in Canada, which provides the best social media marketing services globally. We conduct a deep research to find your potential users and create a strong social media strategy that will reach them. We produce social media campaign to highlight your business goals and objectives. At the same, time we ensure that those goals are measurable, realistic, and time-lined. Before the implementation of a social media campaign, we conduct a strong research on the adopted tactics of the competitors. We use different social platforms such as Facebook, G+, Linkedin, YouTube, Twitter and more to promote online business to let you gain more popularity and presence online. Our team of experts in social media marketing targets the organic audience, follows experts opinions, top SMO influencers, social media trends of 2017 and perform well according to clients needs, their goals and business. Today majority of the people are using social media platforms like Facebook, Twitter, and YouTube etc. We use these social networking platforms to establish your brand online and increase its awareness among potential customers. Our social media experts analyse your competitors on different social hubs, which makes it possible to come up with a deal that is far better as compared to your competitors. Planning & Implementation of Social Media. Formulate the tactics to drag them behind. Content Development, its Publication & Management.